All dogs, regardless of how fluffy, need proper attire and safety measures when out in the cold. And even if they’re furry equipped, pups still need help keeping warm from their humans humans. 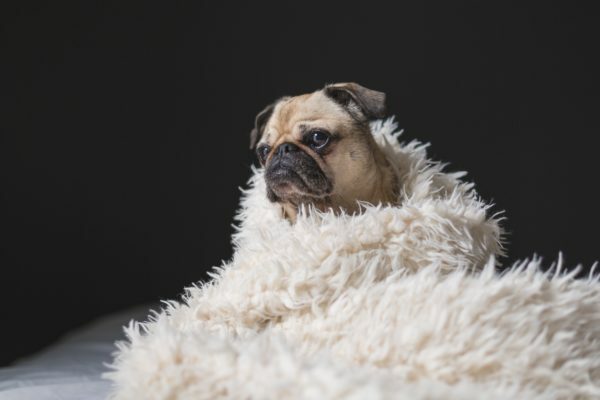 The cold can be hazardous to your pet, so taking safety measures is the best way to keep your furbaby happy and safe. So, because of this, we have compiled a list of tips that will help you keep your pooch safe from the cold. Dressing your pooch for the cold weather is important. More so if they’re a short haired breed. So whenever you’re going out for a walk, make sure your pup wears a sweater or a coat. This will help them retain heat and make them comfortable while out in the cold. Don’t expose your pup to the cold when it’s not needed. Limit your outside time to days that are warm. But remember, no dog should ever be out in the cold for extended periods of time. This can be hazardous to your pups health and can lead to side effects like hypothermia. And never leave your furbaby out in the cold unattended. This can be dangerous and can even lead to death. Properly fastening your pups leash is important when going out on walks. This can help protect your dog from being lost in weather of extreme cold. Dogs can lose their scent and forget how to get home in the cold. So always practice extreme caution when going out. During the cold, be courteous to other animals when you’re starting your car. Stray cats usually take refuge under cars and can be ran over if you don’t give them a chance to run from your moving vehicle. Make sure to softly hit the hood of your car to give any cat the chance to run away.